Roughly 25 million Americans suffer from spider veins. This number is likely low, because many do not report them. By the time we reach our 60s, it is estimated that 72 percent of women and 42 percent of men will experience vein problems. Compared to Varicose Veins, spider veins are are smaller, red, purple, and blue vessels that also twist and turn. Spider veins are easily visible through the skin, as well. They are typically visible on the legs and face. If you are suffering from spider veins, get an appointment with the Houston Spider Vein Treatment Center. Symptoms usually are not present in the morning but increase as the day goes on. If left untreated, spider veins can progress to skin changes. It’s important to recognize the often-subtle symptoms before skin changes and later progression to ulcer (ulcer). 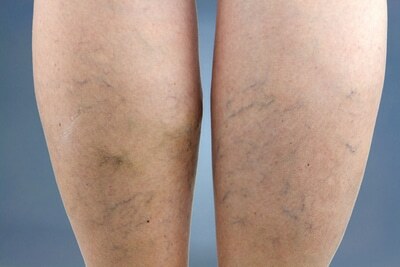 Spider veins are damaged veins. They develop ]when tiny, one-way valves inside the veins weaken. In healthy veins, these valves push blood in one direction, back to our heart. When these valves weaken, some blood flows backward and accumulates in the vein. Extra blood in the vein puts pressure on the walls of the vein. Fortunately, there are many options for spider vein treatments. Treatment options range from self-care to minor surgery. You can try making lifestyle changes to treat your veins. The following tips can help you improve blood flow. Compression stockings are also a possibility. These stockings apply steady pressure to help move the blood back to your heart. The steady pressure also lessens swelling in your legs and reduces the risk of getting a blood clot. However, the veins in your legs will still be visible. Milder cases can be treated non-surgically. For example, sclerotherapy can seal the veins with a chemical solution and lasers can fade spider veins. With this procedure you will be in and out of the office in the same day. However, you need take daily walks and wear compression socks for a few days. Surgical options are available for more serious cases of bulging veins and those that cause serious pain and swelling. For example, a catheter can be inserted into the vein to heat and seal it with Radio Frequency Ablation (RF) technology. Since the RF technology uses a low temperature, it does not damage the surrounding tissue. Therefore, patients do not have as much pain or bruising than with some other treatments. You receive local anesthesia, which numbs the area. Your Doctor then makes a small incision and inserts a laser fiber (for EVLT) or catheter (for RFA) into the vein. 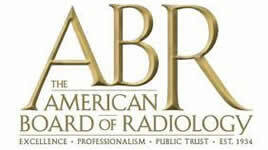 The laser or radiofrequency device heats up the vein, causing it to collapse and seal shut. After treatment, a compression stocking is needed on each leg. To help prevent possible side effects, you will need to take daily walks. As well as, wear the compression stockings for a few days. You can return to work and most activities the next day. If you are experiencing issues with spider veins, call Coastal Vascular Center today. We are Houston’s Spider Vein Treatment Center.